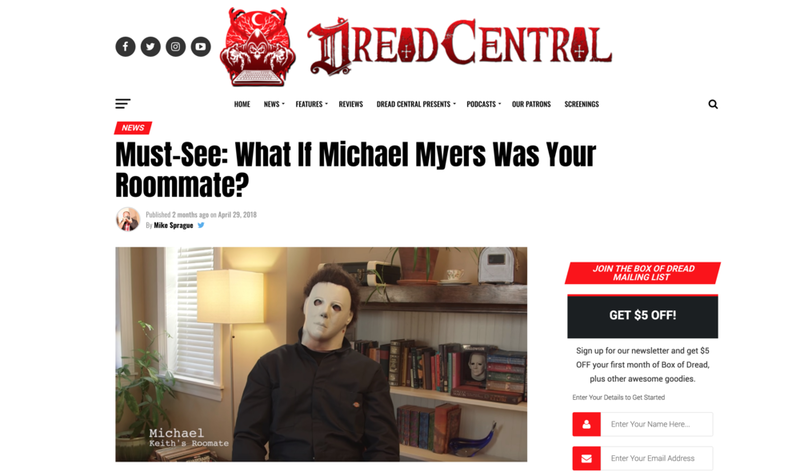 Earlier this year we created a horror comedy parody involving Michael Myers. It was called "Living with Michael" and you can probably guess what it was about. This was the first video we produced that was featured on Dread Central, a website I've been visiting and enjoying for years.